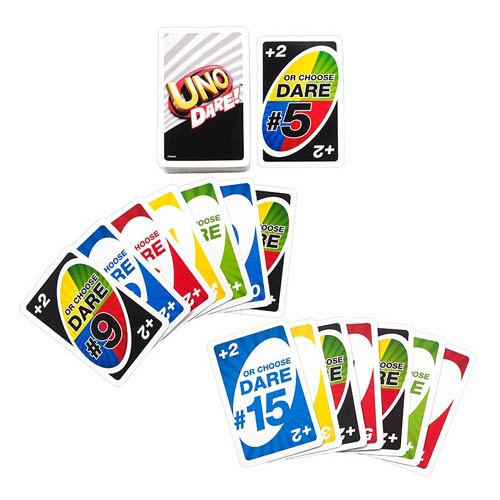 You're playing UNO and you're faced with a decision: draw extra cards or take a dare! You may end up talking like a pirate until your next turn, or standing on your head, or even revealing an intimate secret! What will you choose? Find out when you play this exciting version of the classic UNO, if you dare! Ages 7 and up.